The Women's Center has been empowering victims of domestic violence through a variety of programs since 1978. Providing a 24-hour intake to emergency shelter for individuals experiencing domestic violence including women, along with their children and pets, and men. In addition to physical safety, the shelter provides personal advocacy, information and referral, criminal justice and legal advocacy, support groups, and community education. The Alex and Brandon Child Safety Center provides safe visits and exchanges for children. 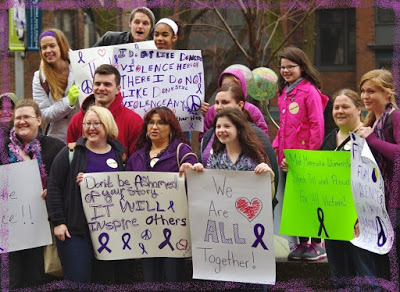 Please help the Mid-Minnesota Women's Center continue to keep women & children safe. Funding is provided in part with a grant from the Minnesota Department of Public Safety Office of Justice Programs, Crime Victims Services, The Mary Kay Foundation (http://marykayfoundation.org/), & The Ingleman Fund of the Women’s Foundation of Minnesota. The opinions, findings, conclusions, & recommendations expressed in this publication/program/exhibition are those of the author(s) & do not necessarily reflect the views of the Department of Public Safety Office of Justice Programs or Crime Victims Services. Additional funding generously provided from The Otto Bremer Trust, Open Your Heart to the Homeless & Hungry, The Initiative Foundation, United Way of Crow Wing and Southern Cass Counties, Crow Wing Power, Mille Lacs Corporate Ventures, & many other church organizations, private foundations, & civic groups, such as Zonta Club of Brainerd Area, & generous individuals who support our mission of ending domestic violence & supporting those affected by domestic violence. Design by Midwest Captions, Inc.